In February of 2010, Tyler was diagnosed with malignant melanoma. It first started as a mole on the back of his calf that did not get treated right away. He had the mole removed, but it unfortunately came back as melanoma. Tyler had a Positron Emission Tomography (PET) scan, and the results were that the cancer had spread to his lymph nodes in his groin. He had the lymph nodes removed and all was clear. Three months later, Tyler had another PET scan. The melanoma had spread to his liver, heart, spleen, and bones. It was only a short 3 months later that he passed away. It was only a total of nine months from learning about his melanoma to his death on November 2, 2010. 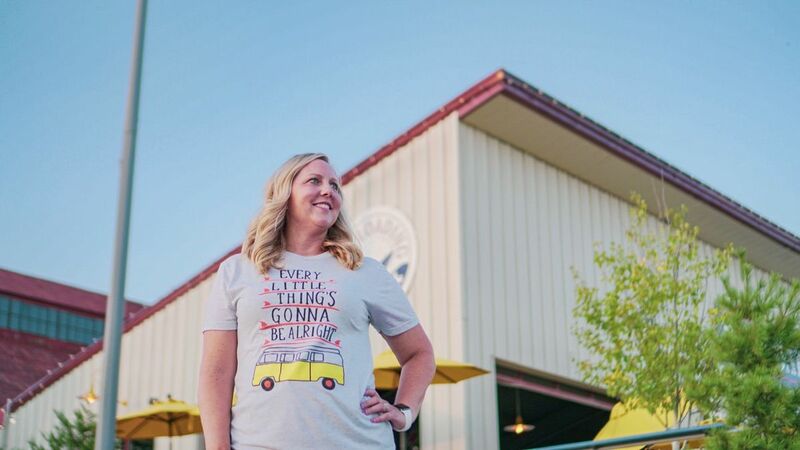 It was through all of the treatments, surgeries, and the final stages that Ashley, the founder of 3 Little Birds 4 Life and Tyler’s sister, realized that Tyler, at 28 years old, needed to have one more great day doing the things that he loved. So, while he was still able to walk, she talked to the St. Louis Cardinal organization and had the perfect day made for him. That was the last time Tyler was able to hang out all day and walk during this wonderful experience. It was 6 weeks later after his wish that he passed away. She thanks the Cardinals for such a great day and for the experience her family was able to spend with him cheering on the team that he loved. In the endeavor to make Tyler’s wish come true, Ashley quickly realized that it was necessary for other families currently battling a cancer diagnosis to be able to experience a wish. 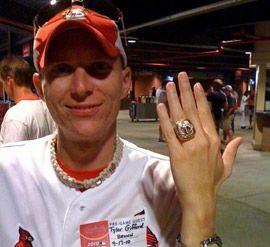 Tyler was granted an experience of a lifetime with the World Champion St. Louis Cardinals – to sit in the press box, meet the announcers, and go on the field before the game during batting practice. A few months after Tyler’s death, 3 Little Birds 4 Life was created in his honor. Ashley Swip began her non-profit journey in 2010 when a need arose during the battle that her brother, Tyler Gifford, fought with melanoma cancer. During his battle with melanoma and countless Google searches later, Ashley realized that resources for young adults with cancer were few and far between. While doing this research, Ashley realized that once a young adult turned 18, he/she was phased out of wish granting organizations around the U.S.
After granting the wish of her brother right before his death, 3 Little Birds 4 Life was born. Ashley is working toward building an extraordinary team of volunteers and future staff to spread 3 Little Birds 4 Life to all young adults currently managing cancer in the U.S.
Not only is Ashley the founder and leader of 3 Little Birds 4 Life, but she also has a full-time job as a high school physical education teacher in Granite City, IL. Being a teacher in the health field gives her a unique opportunity to motivate and educate high school students to become healthy and better citizens in the future. Ashley has been a teacher at Granite City High School for 16 years and was previously the head girls tennis coach for many seasons. Ashley has a bachelors degree in athletic training from Western Illinois University, and a bachelors degree in physical education from Southern Illinois University at Edwardsville. Her hobbies include CrossFit, St Louis sports, and traveling around the country with her family. Ashley is a loving wife to Brett and has been a mother to Will and J.T. Stay up to date on all things 3 Little Birds!